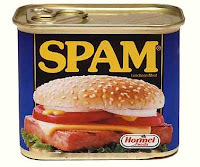 No, not that kind of spam - the kind that comes in a can. With 54 variations on miso soup, this sounds like the miso soup equivalent of the Monty Python Spam Skit, courtesy of Japanese Food Report. 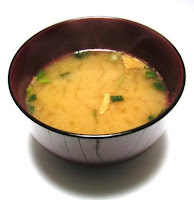 I learned to make good dashi from this site, so I bet the upcoming miso soup recipes won't be all bad. But if miso soup isn't your bag, you can always join the Spam Fan Club instead.